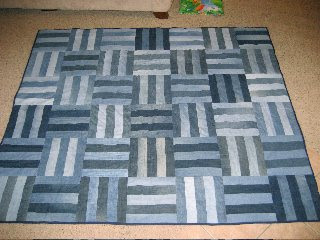 If you like a long term big project and you have lots of denim scraps then a quilt is an appropriate project. I haven't yet tackled a quilt in any form yet but I expect I will someday. There are many different styles of denim quilts from the naturally country style to very urban and contemporary. Here is a sampling. 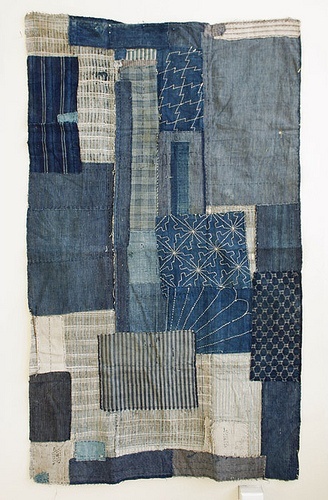 This first one is shared in Tubakks' Quilts and I love it. It reminds me of sunshine on a blue sky day. It has such a vibrant and warm feeling about it. The second example strikes me more as a wall hanging and it shows great perseverance in collecting. It uses many types of denim. My collection of scraps is all in the solids but prints have been used effectively in this rag quilt. 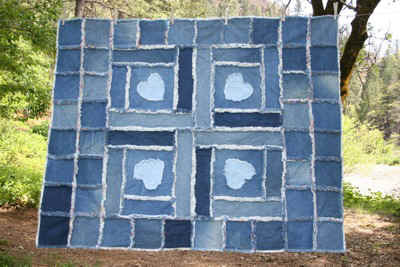 This quilt by Crystal Marie of Wilderness Quilters uses the frayed edge so common in jeans to define the pattern. 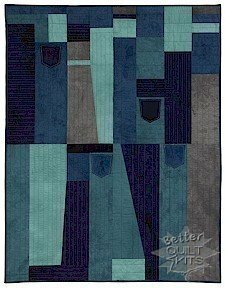 I like how contemporay this very traditional beginners quilt block pattern is when constructed from denim. 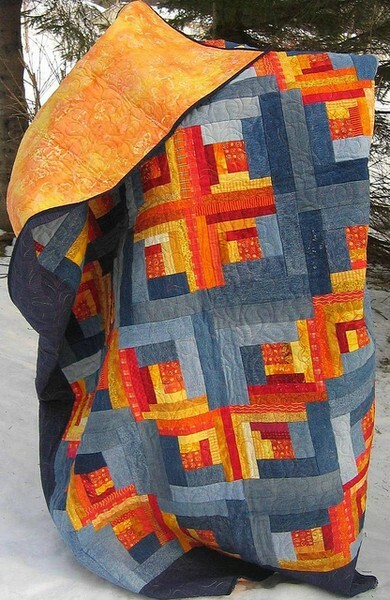 It was made by Melissa Wilson as her first quilt. Below is a similar pattern approached with a little more freedom and the addition of linen. Very dynamic. This final one is a kit pattern called Work Clothes. It is available from the Gees Bend Quilt series. 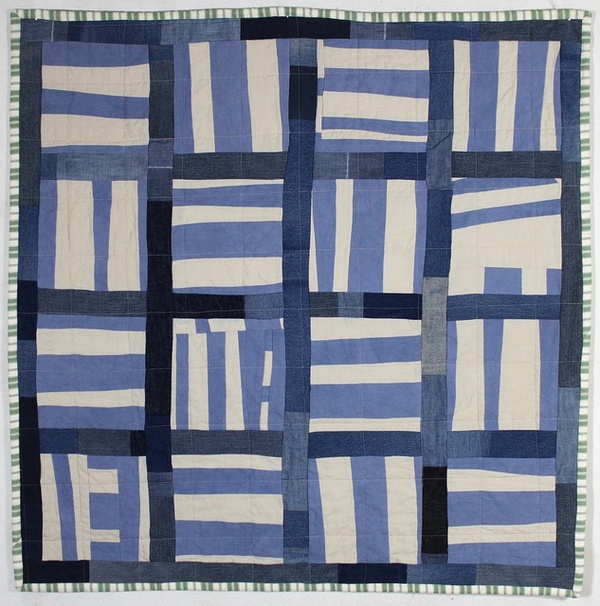 The story of the Quilts of Gees Bend is a wonderful one. These are simple yet bold and dynamic quilts created by generations of African-Americans in Gees Bend, Alabama. Are you brave enough to tackle a quilting project?